Grunge background with horses in various colors. 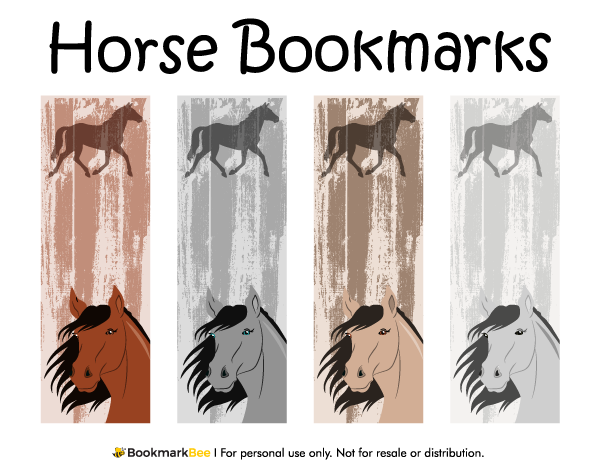 Each bookmark features a silhouette of a horse at the top and a more detailed horse graphic at the bottom. Download a free version of this bookmark below. Note that the free version includes a watermark on each bookmark, but we do offer a bundle of all bookmarks without the watermark.